Colombia's National Federation of Coffee Growers imported this car as part of a program to improve rural transportation. For many years, it remained under the protective care of a coffee grower from the stunning mountainous region of Quindío. It was sold several times to various farmers within the area until it found its way to the vast Colombian Plains, where it was used to transport workers at a palm farm. The final owner found it there and fell in love. He took it back to the capital city of Bogota and spent more than five years restoring it with great attention to detail. 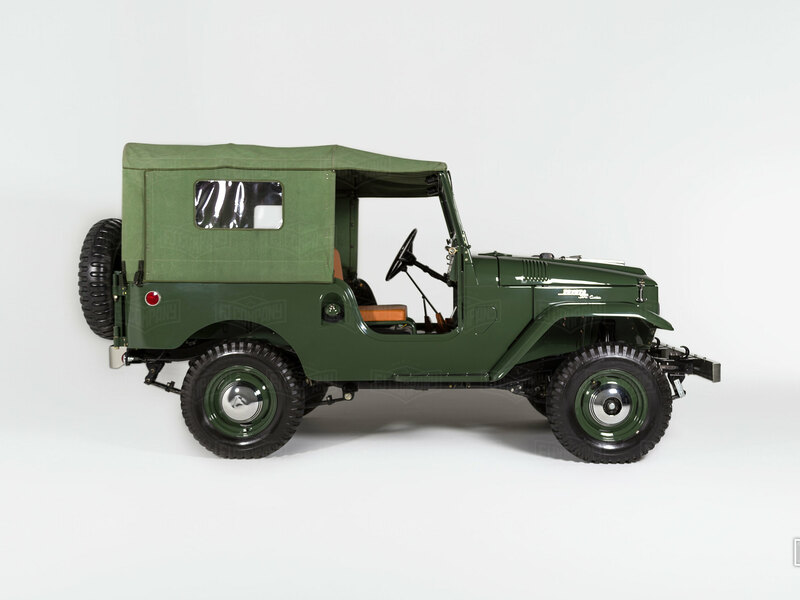 Despite its incredible state when it arrived at The FJ Company, our experts meticulously restored it, ensuring that this vehicle would become a collector's edition FJ25. That retro look you love now comes with an amped-up modern powertrain.